Thank you for your inquiry about the USS HORNET ASSOCIATION. 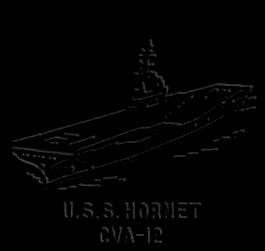 We are a non-profit veteran's Organization dedicated to the preservation of the history of the USS HORNET, her officers, ships' company, aircraft, airmen and crews. Our club has held a reunion each year since 1949. 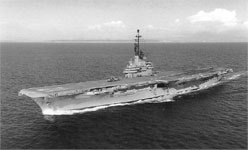 The objectives of our club are 1) to provide a means of fellowship and communication among personnel who served on or with the USS HORNET; 2) to seek recognition of the ships' company, pilots, airmen and crew associated with the USS HORNET; 3) to publish a newsletter; 4) to sell memorabilia of interest to our members; 5) to promote an annual reunion. Yearly dues are due each year on January 1st. Members who are current with their dues, will receive all club mailings throughout the year. Members are encouraged to submit any news items, historical information and personal stories for inclusion in our newsletter. Please call, fax, or write if I may be of any assistance in any way. I'm here, let me hear from you! Click here to print the Membership Application. This is an Adobe Acrobat file.